Our Art Program is one of the things that makes Sydney Children’s Hospital, Randwick so special. A huge range of works fill the corridors with colour and creativity and in the wards, art helps to distract and relax patients, families and staff. 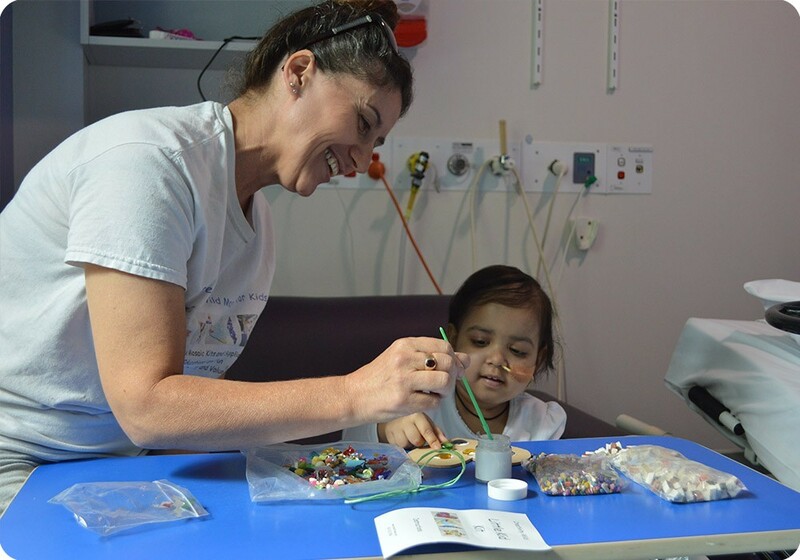 Fully funded by Sydney Children’s Hospitals Foundation, the Art Program exists to make the Hospital a vibrant, reassuring and colourful place of healing and culture, where children feel safe and happy. 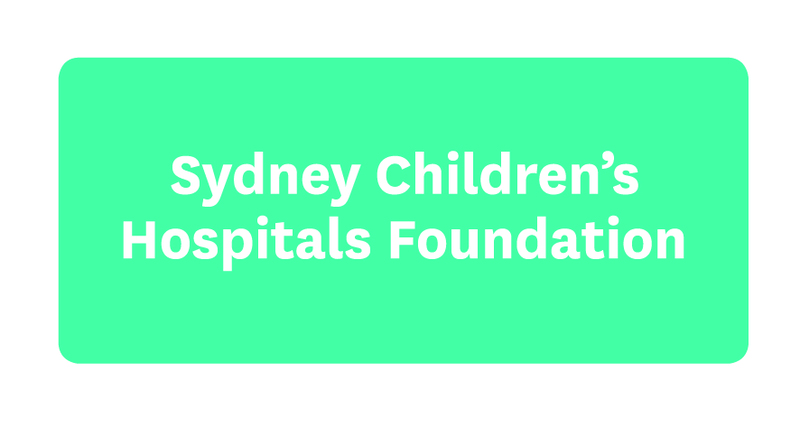 Sydney Children’s Hospitals Foundation Art Program is a registered public collection with the Department of Communications and the Arts via the Cultural Gifts Program. Why use art as a healing tool? Hospitals around the word recognise the important role art plays as a healing tool. In a sometimes stressful environment, the arts can benefit patients by aiding in their physical, mental and emotional recovery, relieving anxiety and decreasing their perception of pain. For some children art offers a refuge from the intense emotions associated with illness, giving them a way to express their feelings and allowing them respite from what they are going through. 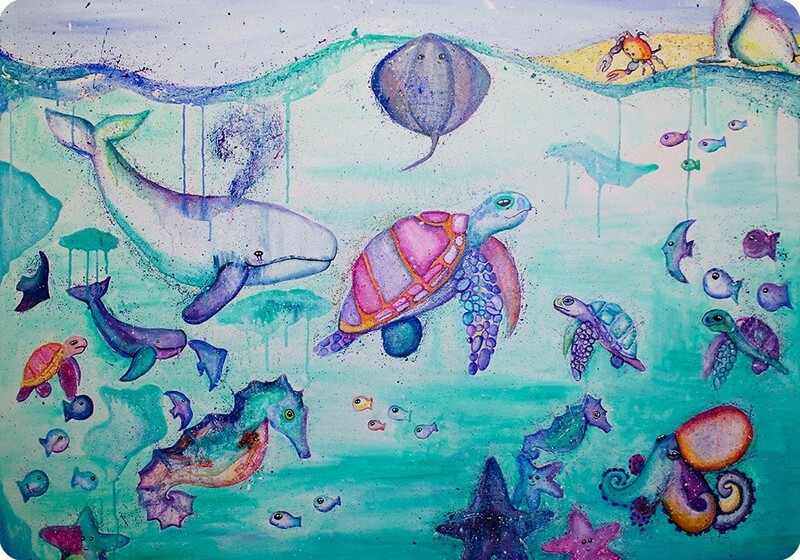 In all its forms, our Art Program engages and inspires. Through both workshops and creative displays, we provide a positive environment and reduce the anxiety and stress often associated with a traditional Hospital setting. Paintings, sculptures, prints, photography and digital art can be seen throughout the Hospital, from the welcoming Foyer to Treatment Rooms and Wards. We manage and expand a permanent collection through donations and philanthropy on an ongoing basis. We now hold more than 900 artworks in our collection, thanks to the generosity of artists, art patrons, donors, commercial galleries and even our patients and their families. We are proud to feature art from such important artists as Del Kathryn Barton, Robert Dickerson, Elizabeth Cummings, Alan Jones, Jasper Knight, Shaun Tan, Angus MacDonald and David Bromley. We also have a growing Digital Arts Collection featuring new media work by filmmakers, students, artists and our very talented patients. The Hospital corridors are transformed every three months with a rotating exhibition schedule of selling shows. Featuring art from independent and emerging artists, these exhibitions offer patients a window to an external world that is creative, educational and inspiring. All exhibition openings are held at the Hospital and are open to the public. By purchasing art from our exhibitions, you help the Art Program raise funds for the Hospital and support local artists. Visit our current exhibitions. We integrate the visual arts into the Hospital’s rehabilitative and education services through regular ArtEx (art experience) workshops, in collaboration with local artists. In 2016, more than 120 workshops were held with patients and their families across the Hospital, including the Child and Adolescent Mental Health Service, Sydney Children’s Hospital’s School and by the bedsides of patients in collaboration with the Child Life and Music Therapy Department. Please note, we do not provide Art Therapy services. From time to time we develop the Hospital’s art areas as a forum for public programs and events to benefit the Hospital and wider community. We build the capacity for arts interns and arts workers through the Art Program postgraduate internship and volunteer program. The Art Program depends on the generosity and support of the community to deliver its wide range of services and benefits to the Hospital. For more information please contact the Art Program team on +61 2 9382 1188 or art@schf.org.au. By purchasing art from our exhibitions you help the Art Program raise funds for the Hospital and support local artists.